Exclusive Blog download. Joyce Muniz Deep Underground Remix of Joyce Muniz’s “Please Break My Heart feat. Dave”! And don’t forget to check the original tracks of the “Please Break My Heart EP”. Since Joyce Muniz’s “Trust Your Enemies” Single came out in March – she’s remixed Maya Jane Coles’ “Burning Bright feat. 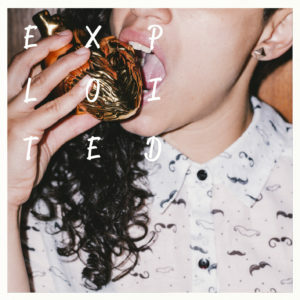 Kim Ann Foxman”, Tosca’s “Ende Mai”, Claptone’s “Maximum”, Blaze’s “Lovely Dae”, Stereo MC’s “Sunny Day”, Munk’s “Mis Labios”, Robert Owens & Jet Project’s “Say The Word”, Amp Fiddler’s “When The Morning Comes” among others and her cuts have been snapped up for numerous DJ mixes and best-of-summer comps. Joyce has also produced the entire album “What A Comeback!” of Europe’s one and only crooner Louie Austen. Now Brazilian-raised, Vienna-based producer returns on Exploited with her tightest, deepest house yet: “Please Break My Heart feat. Dave”. The original version has a more pop-orientated vibe while the Deep Underground Mix is for all the Headz & real Discjocks out there. Includes 2 DJ-friendly bonus cuts: “El Paseo” and “Its Your Life”. Artwork Photoshoot by Daniel Gebhart de Koekkoek.